The Home Project — an Athens-based non-profit organization that provides safety for refugee and migrant children in Greece who are alone and without any family members— has received a €4 million grant from the IKEA Foundation. IKEA Foundation Chief Operations Officer Stelios Kyriakakis said he believes that all children should be able to live safely and securely. 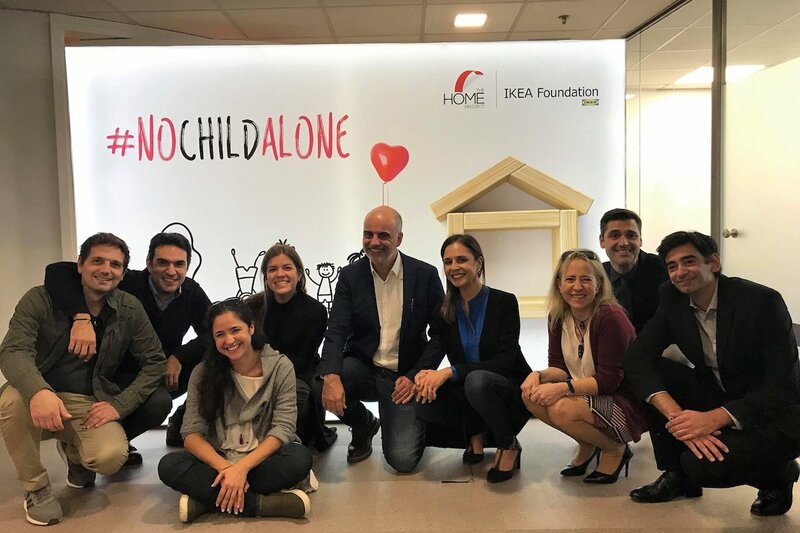 Founded by the Libra Group in December 2016, The Home Project has been able to support more than 300 children while creating more than 130 jobs within its first 20 months of operation. There are more than 3,400 unaccompanied refugee minors in Greece, and more than 2,400 of those are homeless — living on the streets, in camps and detention centers. The Home Project Executive Director Sofia Kouvelaki said that most of the children have ended up in Greece after travelling completely on their own to escape war or other dangers. “Today, these children are the most vulnerable population of refugees and have to be protected so that they become – what they are – children again,” Kouvelaki said. The IKEA Foundation’s €4 million grant is its second major gift to The Home Project, as the foundation donated €1 million in 2017 to fund the opening of five new shelters.